Clear skies. Low near 35F. NNW winds at 10 to 20 mph, decreasing to less than 5 mph..
Clear skies. Low near 35F. NNW winds at 10 to 20 mph, decreasing to less than 5 mph. Kim Manning, left, hugs 8 over 80 recipient Judith Harrington during the Eight Over 80 Awards banquet at Diamond Event Center in Cedar Falls on June 27. It's time to nominate our next group of recipients. In 2010, we began showcasing eight community leaders who have dedicated the bulk of their lives to the betterment of the Cedar Valley. 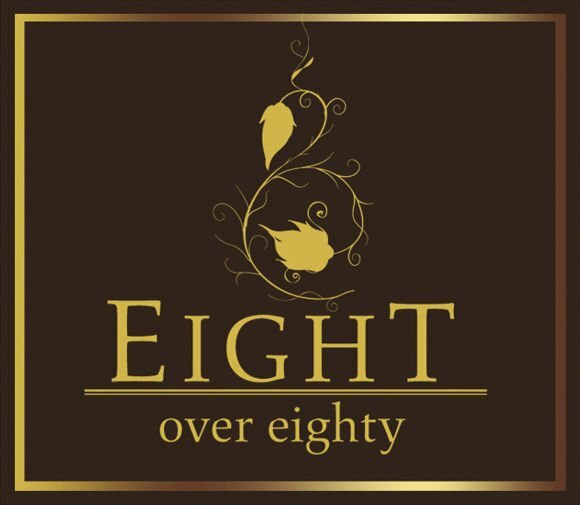 We recently ran the annual notice stating we are accepting nominations for this year’s Eight Over 80 Awards. It will be the ninth anniversary of those awards. We can’t believe it took us so long. In 2002, The Courier began presenting the 20 Under 40 Awards, annually featuring 20 young business leaders dedicated to making the community a better place. The awards were well received. Eight years later, the inaugural class of Eight Over 80 was selected. It’s fortunate we saw the wisdom of featuring those who have had a hand in shaping our communities. It’s only natural, considering the title of the award, that we have lost many of these leaders since that first year. In much the same way we have enjoyed witnessing so many aging veterans take part in regional Honor Flights, so too, we have enjoyed the Eight Over 80 Awards and the stories of their recipients. These awards for local octogenarians have vaulted well beyond initial expectations, leaving permanent imprints on the lives and families of the dozens of winners since 2010. The list of winners in the first three years reads like a Who’s Who in the Cedar Valley. Inaugural honorees were Louis Beecher, Harold Brock, John Deery Sr., Tunis Den Hartog, Betty Jean Furgerson, Cathy and Ed Gallagher (honored as a team), Ike Leighty and Milton Roth. Last year’s class included Marianne Waldstein of Waverly, Reed Craft of Waterloo, Judith Harrington of Cedar Falls, Joan Duea of Cedar Falls, Lorraine Griffie of Waterloo, James Mudd Sr., of Cedar Falls, Thieleane Raecker of Waterloo and Marv Walston of Waverly. In between, there have been dozens more who have done their part to make the Cedar Valley a better place to live for all of us. Having listened to the reminiscences of each winner, both face-to-face and in video interviews of each at the award presentations luncheon, we can clearly see why it has become such a popular annual series. The winners share many leadership qualities, including a spirit of volunteerism, deep community involvement, discipline and the willingness to share knowledge they have collected through many years of experience. They also have remarkable differences. They have been business leaders who were not afraid to reach for the stars in sparking economic development that has lasted for generations. They have enthusiastically passed on their knowledge — and even their businesses. They have been educators, steeped in the belief bettering their communities stems from bettering its young people year after year. They have been those filled with hope, working tirelessly through the local civil rights movement, sometimes motivated by small, incremental gains that proved enormous over their lifetimes. They have been veterans who returned home after witnessing horrors we can’t imagine with a renewed interest in bettering their home communities across the Cedar Valley. This year we expect the response will be greater than ever, considering the popularity of the awards and the pride they bring to those of us who love the Cedar Valley and realize what these honorees have done for it. The most difficult of tasks will go to the award committee, which picks the final eight. But there will be an equal measure of joy for committee members who will discuss the lengthy resumes of the nominees and the important contributions they have made. Who wins is also up to you. Contributes now and in the past to the betterment of the community, often behind the scenes. Continues to be a success in their vocation. Has been a role model/mentor for others. These are people who helped shape the Cedar Valley. Their efforts, over decades, show how deeply they care about their communities. Collectively and individually, they have raised the bar for the Cedar Valley. Get your nominations in, because that’s worth honoring.